SAN has been traditionally reserved for Fibre Channel networks until the recent introduction of iSCSI extended this powerful yet simple centralised backend (behind server-based) storage system to IP networks. By utilising existing Ethernet technology, the cost associated with separate host bus adapters and the per-Gigabyte cost for storage is significantly reduced. The DSN-3400-10 implements the industry’s first built-in, fully integrated 10-Gigabit interface in the cost effective solution segment. Providing up to 1160 MB/s bandwidth, it offers a high performance alternative to 4 Gbps Fibre Channel. By utilising a SoC design, the DSN-3400-10 SAN Array combine both networking and storage functions into a single specialised Application Specific Integrated Circuit (ASIC). The SoC solution combines 10Gbps iSCSI, TCP & IP offload, embedded processors, and a storage virtualisation firmware stack onto a single chip. The tight integration of these functions eliminates interoperability, timing, and support issues found in competitive products that offer “discrete implementation” wherein a chassis, a main motherboard, a RAID storage controller, iSCSI software or controller, network interface cards, and operating system software are picked separately and then assembled. 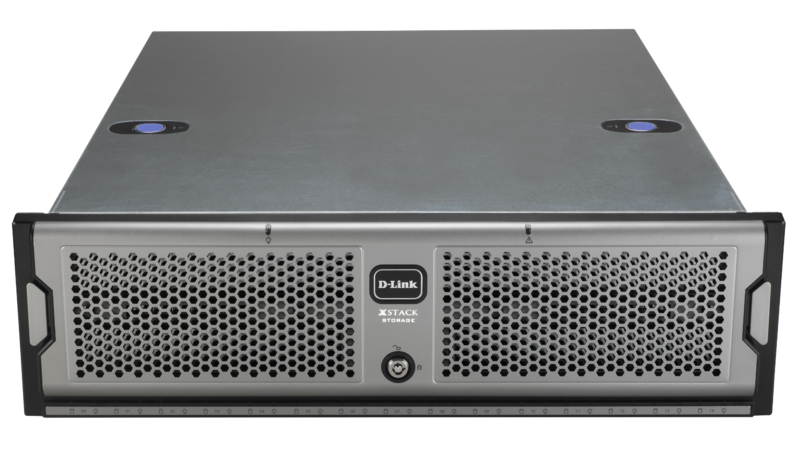 The DSN-3400-10 line outperforms these discrete implementations and does so at a lower price point, while delivering mission critical data quickly with state-of-the-art reliability. 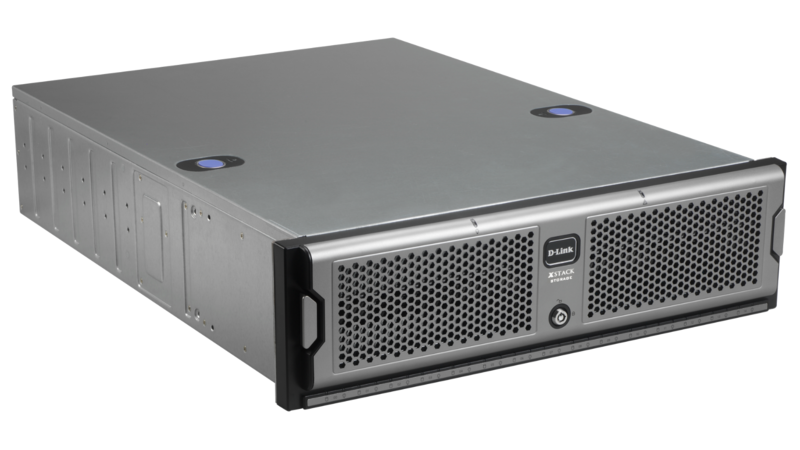 The DSN-3400-10 SAN Array features 15 hot swappable Serial ATA (SATA) disk drive bays supporting 30 TB raw capacity using 2 TB hard drives (and even higher capacity hard drives as they are introduced) in RAID level 0, 1, 1+0 and 5 configurations. You can quickly deploy a SAN using inexpensive SATA disk drives, and depending on your growing storage needs, you can simply add more drives as you go. The embedded, user-friendly IP-SAN Device Manager (IDM) provides comprehensive network storage management. Cache Management provides adaptive and persistent cache management. This provides write-back, write-through, write coalescing and multi-stream read-ahead on a volume basis, optimising cache utilisation and performance in an application-dependent manner. VLAN Zoning supports IEEE 802.1Q VLAN tagging to segregate traffic into isolated zones for secure access and Jumbo frames, improving network throughput and reducing CPU overhead. Volume Virtualisation utilises the concept of storage Extents: these are the fundamental building blocks used to enable features such as RAID, online capacity expansion and volume migration. Drives of dissimilar size can be used to create volumes. Growth can occur without volume migration or reconstruction. Single drives can contain multiple and divergent RAID technologies. RAID Support for RAID Levels 0, 1, 1+0 and 5 (striped sets, mirrored sets, striped mirrored sets, and parity sets) allows for different storage options. Online Capacity Expansion and RAID Level Migration is performed online with minimal impact on users. For example, a mirror volume of two drives can easily be converted to a parity volume of three or more drives while users continue to access this storage. Micro Rebuilds provide protection against unresponsive SATA commands by forcing a response within a preset time limit.